Discussion in 'iPad Help' started by camnsteph, Jul 17, 2011. Does anyone know if there is a way to sinc the calendar on my iPhone with the one on my iPad? I don't want to retype everything if I don't have to. Gmail will allow you to connect both devices. You can sync your phone to the same computer that you sync the iPad to, just select calendars in iTunes. both devices have to do this. on devices, make sure your default calendar, does not say "calendar", it should say whatever you added. if it says calendar, only that device will have whatever you typed. i personally like to use Gmail for this kinda stuff. most calendars on pc's should be able to sync too, just add the necessary info into that calendar. i don't use windows, or i would guide you in the right direction. i do have a windows laptop, but i don't touch it. 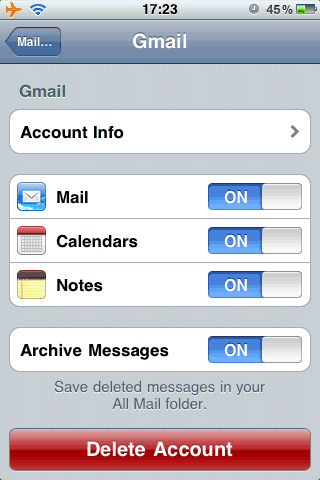 If i already have a gmail account that is activated on my iphone do i need to delate that account and start over with the new instructions? and your notes will support gmail now, and on my Mac mail client(mail app), i can have access to the same notes from device, and add or edit them. 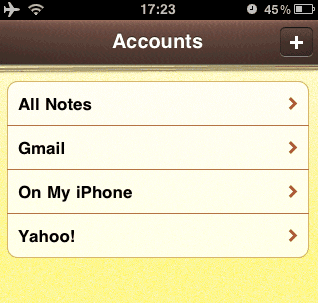 dont forget to change the default account to your@gmail on notes and calendar, or they will not sync.